An ultrasonic humidifier is good for those who find the air a little too dry in their home. It is best use for those who find that the dry air is drying their airways and would need something to give moisture and wet the air. Today, there are a lot of ultrasonic humidifiers for bedroom that is available in the market. We worked hard to create this list of top rated ultrasonic humidifiers this year for you. 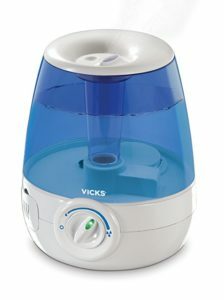 The P&G-Vicks is a good machine to have during the winter season. Users of the model have said to use the model at moderation because at a high interval it was too noisy. Some say that the model needs a lot more improvement as it tends to leak and the safety off button is a tad unreliable. You have to test the model and read more reviews to see if it is a good purchase to make. There are different models available in the market; one of these is the Air-O-Swiss Ultrasonic 7144. 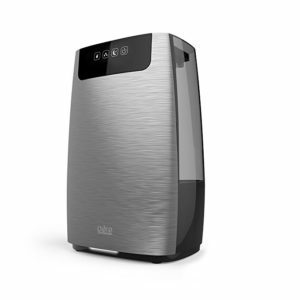 The Air-O-Swiss Ultrasonic 7144 is a humidifier that produces both warm and cool air. This product can be used the year-round for different seasons. The machine is capable of wetting a six hundred square foot area and it is known to operate efficiently and quietly as well. It has an elegant design and is best for those who need a humidifier at home. However, most people find that the 1.5 gallons of water needed is essentially too much to fill the tank of the machine and it has a tendency to turn minerals from water into a white dust. In order to prevent this from happening, filtered water is required. Other than these problems, the Air-O-Swiss Ultrasonic 7144 is a good thing to have at home. 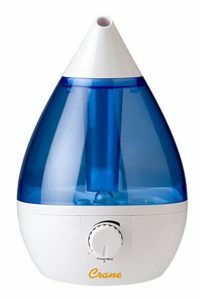 Another good model to try is the Pure Guardian 72-Hour Ultrasonic Humidifier. The best thing about this model is that its tank that requires about one point four gallons of water is made out of Nanosilver, which prevents the formation and thriving of molds and bacteria in its water tank. 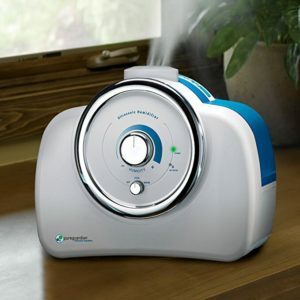 Most people find the Pure Guardian 72-Hour Ultrasonic Humidifier model is good to use as it too operates quietly but it does require regular cleaning and maintenance to keep its parts and dials to function properly. HumeXL Ultrasonic Cool Mist Humidifier is good to use for long uses since it can produce an estimated twelve gallons of mist and moisture as needed for your home. This amount of moisture is enough to wet at an area of thousand five hundred square feet in a house. Users of this machine have said that its double fill tanks are good since you do not have to keep refilling it and are a good thing to have around the house even it is at times loud though it may cost a bit more than other machines. Unlike the model mentioned above, the Crane EE-5301 Humidifier is capable of wetting a two hundred square foot area and can produce both warm and cool air as well. Its tank needs only one gallon of water thus the need to refill the tank often is essential. The machine shuts off when the tank is dry and so you will know when it has to be refilled. It has to be cleaned regularly as well. Top of the list, we highly recommend this Crane EE-5301 if you’re looking to invest for a premium quality product. Sturdy, clean, and high quality Levoit Humidifier is another top of the notch product you can buy this year. For good maintenance, you should clean it regularly. Do you want to protect your family from flu virus? Did you know that humidity levels of 43% or more reduces the ability for the flu virus to survive? Buy the Aircare humidifier now. Also recommended by Amazon for its best price and value, we also find this Ultrasonic Humidifier from TotalComfort the top rate product to recommend. 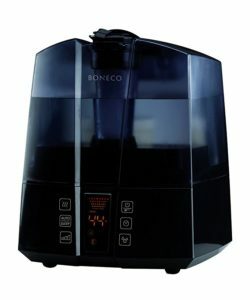 This is one of the most durable humidifiers for most people. It also works well in a large room. Looking for the best of a diffuser and humidifier in one? Quite stylish than the rest on this list, we have to feature this VicTsing cool mist humidifier. Not really for big home uses, this USB-powered portable humidifier is for travel. The great thing about the Fancii Cool Mist product is that you can just a water bottle (<20oz) into a moisture-producing water tank. Amazingly creative! A top rated portable humidifier for traveler on Amazon, this Poho product is quite good with affordable price. This nano ultrasonic humidifier is the best for use in SUV cars. The ultrasonic humidifier is one of the most useful products during the winter season when the air is cold and less moisture is found in the air. At TheZ6.com, we truly believe that you’ll save both time and money when you buy the right home products. The top best ultrasonic humidifier will make your home and living better.